Buffalo Bike Tours was started with no money or investors, just passion for two things: bikes and Buffalo. 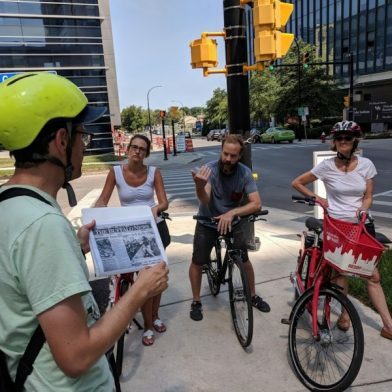 Through song, humor, and local insight, Buffalo Bike Tours offer free & guided history & food tours. – East Meets West Ride: An International Buffalo Foodie Experience. Please visit the website, call or email to reserve a date and time. Then Ride…before it snows!